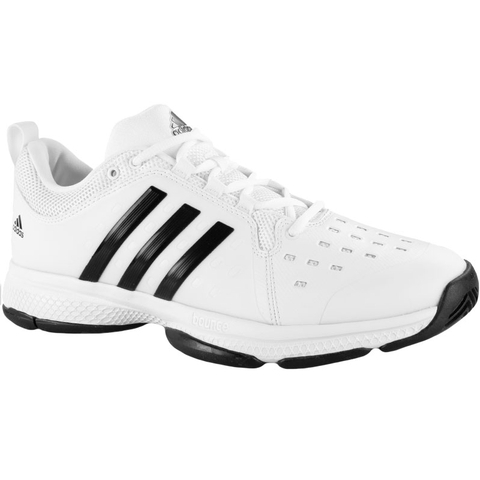 These mens tennis shoes cover the court with ease. 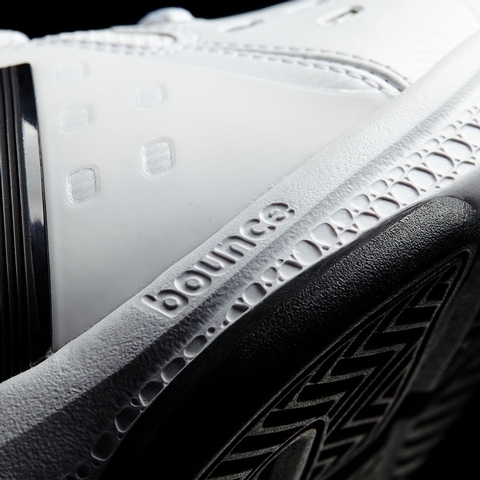 BOUNCE cushions every step for long-lasting, energized comfort. 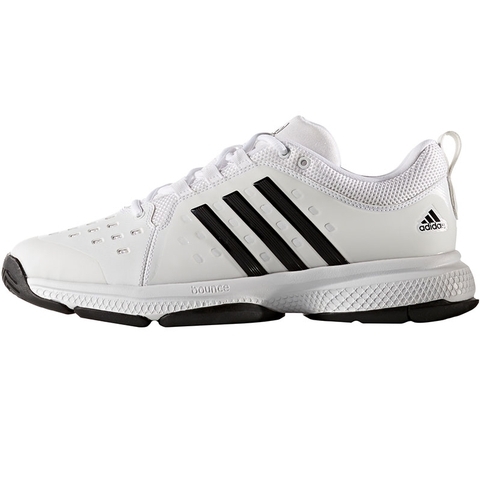 A breathable upper keep cool, while the durable outsole provides a secure grip. 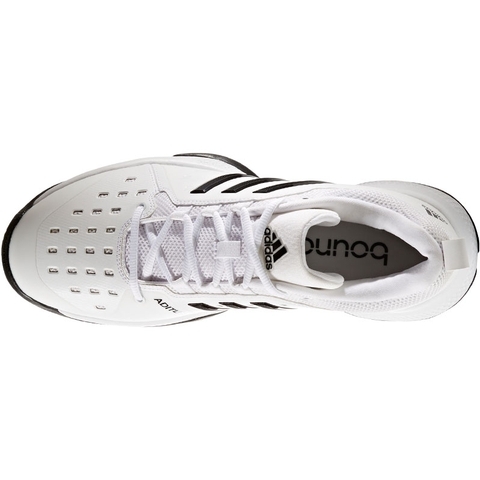 Bounce provides energized comfort for all sports, all day, barricade mesh upper with synthetic layering for stability, comfort and breathability. 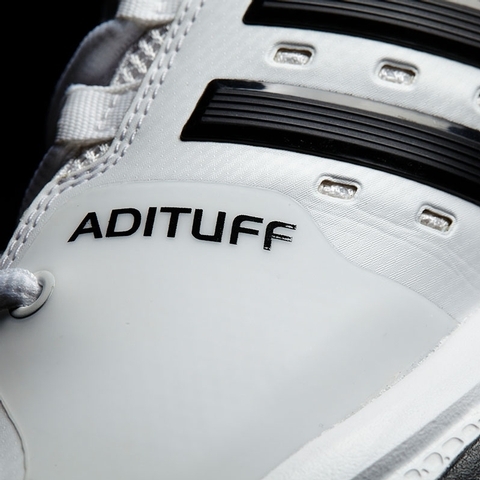 Abrasion-resistant ADITUFF wraps aroound the toe and medial forefoot to help protect against foot drag that occurs during serves, volleys and extreme lateral movements. 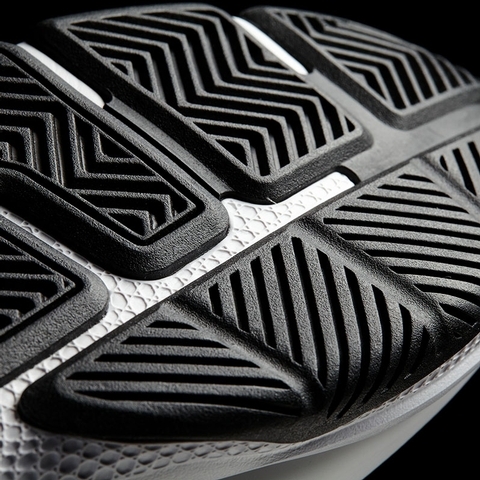 Big-hole perforations in toe area. Updated TPU foil design in quarter. 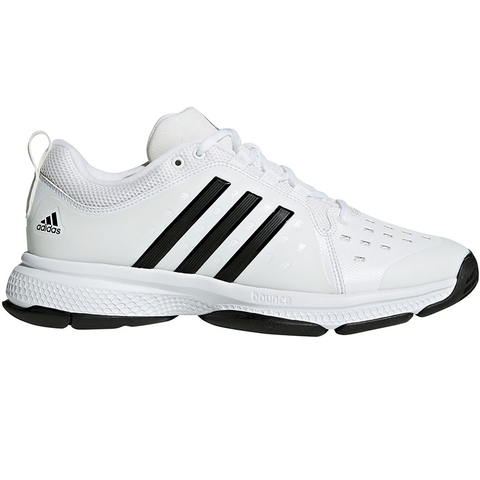 TORSION SYSTEM for midfoot integrity. 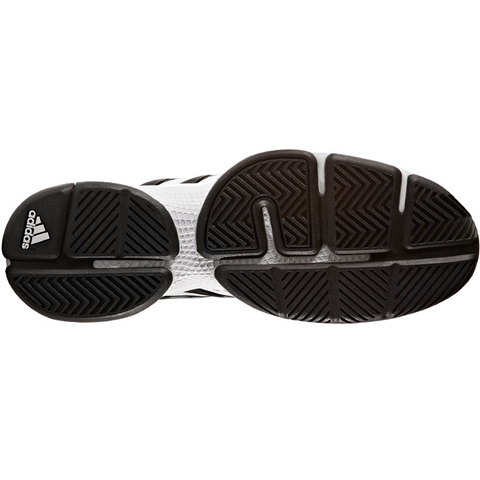 All court outsole ADIWEAR 6, 6 month outsole warranty for the best durability in high -wear areas.